Joseph M. Hellerstein is a Chancellor’s Professor of Computer Science at UC Berkeley whose work focuses on data-centric systems and the way they drive computing. He is an ACM Fellow, an Alfred P. Sloan Research Fellow and the recipient of two ACM-SIGMOD “Test of Time” awards for his research. 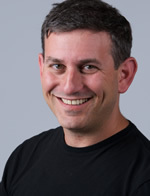 In 2010, Fortune Magazine included him in their list of 50 smartest people in technology, and MIT’s Technology Review magazine included his Bloom language for cloud computing on their TR10 list of the 10 technologies “most likely to change our world.” In 2012, Hellerstein joined with Jeff Heer and Sean Kandel to found Trifacta, a company developing intuitive, powerful, and remarkably useful technologies for data analysis.